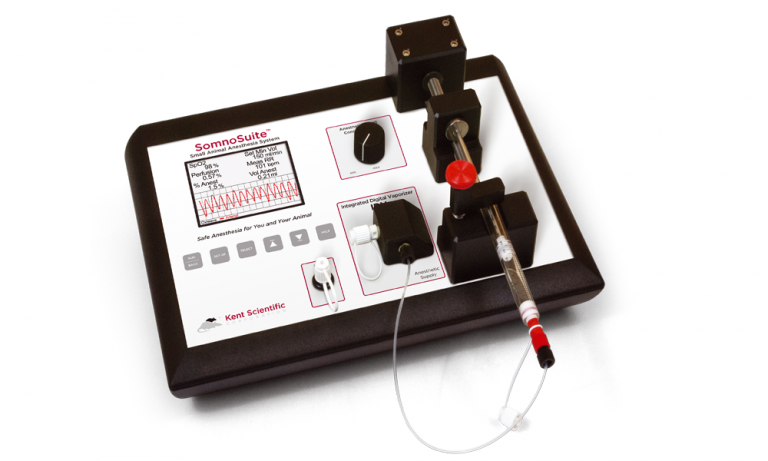 emka TECHNOLOGIES provides the SomnoSuite, a low-flow anesthesia system for small animals. Designed with a precision syringe pump and integrated digital vaporizer which uses either room air or compressed gas, SomnoSuite delivers anesthesia at low flow rates proportionate to the animal’s size. Using less anesthesia not only benefits the animal during procedures, but significantly reduces the risk of exposure to lab personnel from waste anesthesia gas.